CES is less than two weeks away and there will be a whole slew of announcements about the TVs your living room will crave in 2019, but Samsung made an early announcement that looks like soup reads version of Chromecast. With the 2019 TVs you can remotely access your computer. Or a computer . 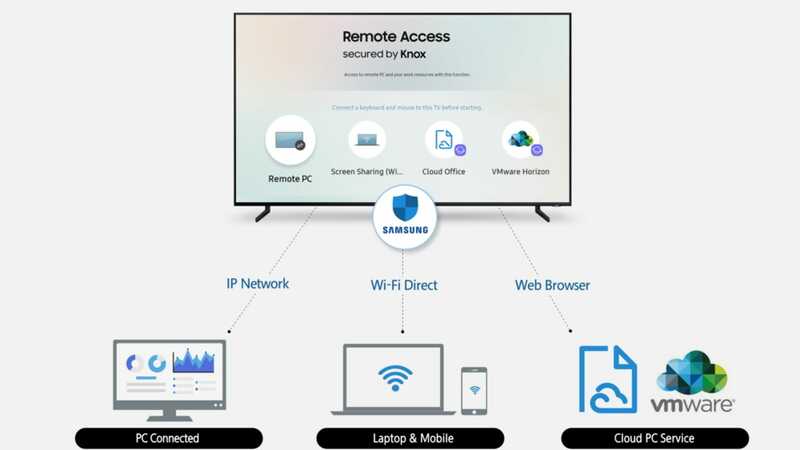 Frustratingly, the details in Samsung's press release are unknown, so we do not know which computers, tablets, and phones use the new remote access feature. 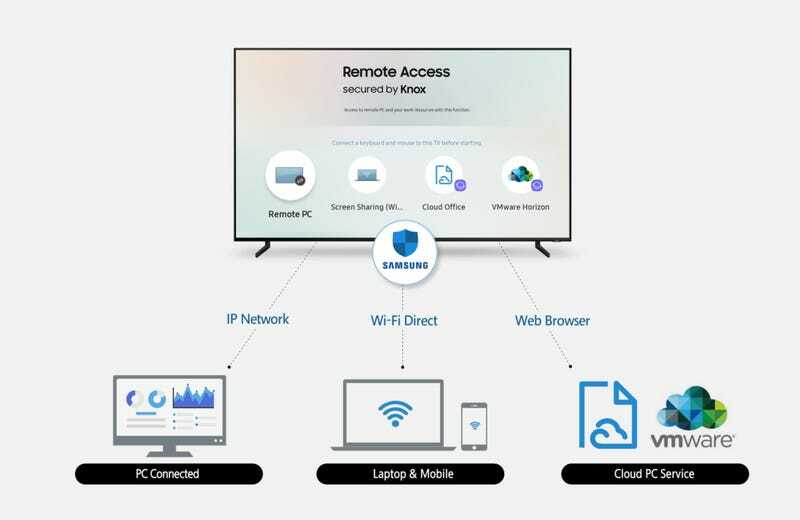 VMWare, the company with which Samsung provides the remote access feature, offers software for most major operating systems, including Windows, Mac OS, iOS, and Android, so it can be expected that the remote access feature will work across platforms more attractive than the offerings of Google, LG, Roku and Apple TV, all of which have pretty strong limitations on the operating systems they work with. This feels like a natural move from the Samsung TV Series 2017 and 2018, which featured a Steam Link app that allows gamers to stream games over Steam from their PC to the TV. Soon they should be able to easily browse browser-based videos or video chats. Or 2019 Samsung owners could easily use their TV as a giant monitor. According to Samsung's press release, you can use a mouse and a keyboard (presumably via USB) with it. The press release also claims that a "web browser-based cloud office service" is accessible via remote access. However, there is no word to say whether this is a Google or Microsoft matter or a new office Suite from Bixby will be. Samsung also claims that remote access is secure thanks to "proprietary Knox security technology", which is frustrating to say PR, which leaves you with a few details. We have contacted Samsung directly for more information.